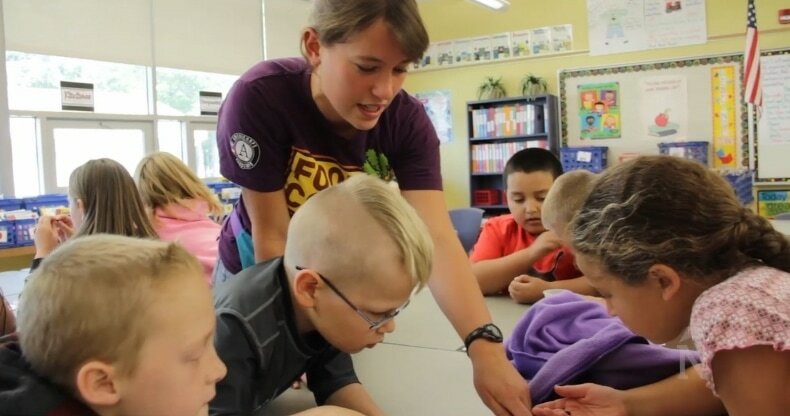 Students at Traverse Heights Elementary school in Traverse City recently got their hands dirty learning about seeds. Traverse Heights is one of the four schools in TCAPS that have been participating with the Michigan Land Use Institute’s farm to school education program as well as an AmeriCorps program called FoodCorps. These programs are geared towards educating kids about where their food comes from as well as giving them the opportunity to dig in and garden.